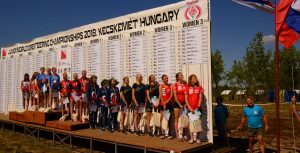 The Junior World Orienteering Championships (JWOC) 2018 took place between 9th-14th July in Hungary. I was selected to represent Great Britain at this competition which is for the best U20 athletes from around the world. 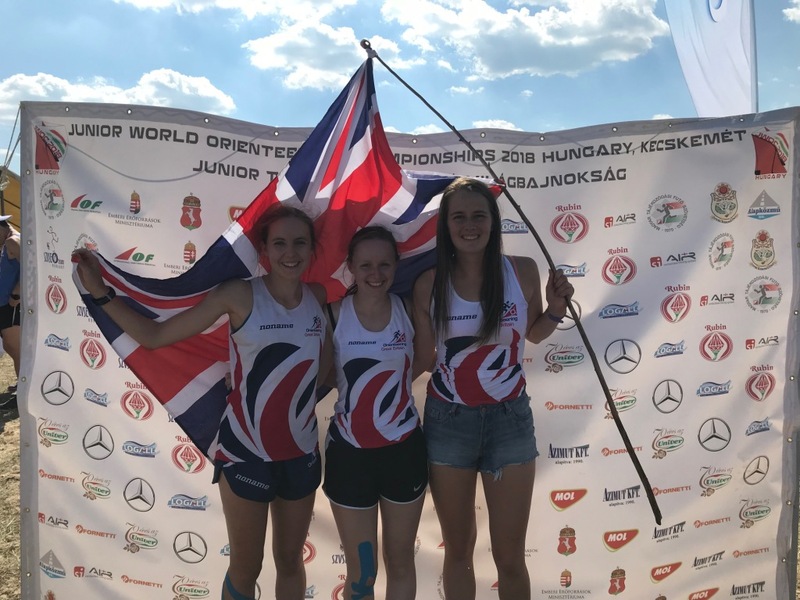 This was my 2nd JWOC and I was hoping to improve on my results last year and also my good results at the Junior European Cup in October 2017, my most recent international. Last year at JWOC I recorded 19th and 20th positions in the middle and long distances respectively and had a bit of disaster in the relay, bringing the team home in 12th. 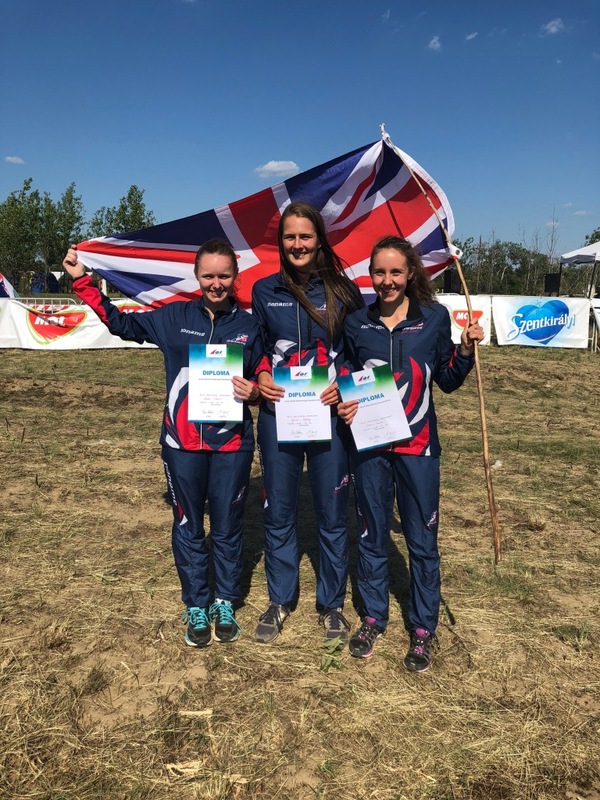 In the Junior European Cup I won the bronze medal in both the long and sprint distance races but again had a disappointing relay where the team finished 9th. This year at JWOC I was racing all of the disciplines (sprint, middle, long and relay) and I thought the long would be my best chance at a top result. I had been on a training camp in Hungary last Summer with the GB squad to prepare for the challenges of the terrain and heat. We found it was very different to racing in the UK so a group of 10 of us decided to go on another preparation camp in March. These were both very useful as they allowed me to practise orienteering in similar areas to those I would race on at JWOC. After a series of selection races in April the squad was finalised and we arrived a few days before the competition started and after a couple more training sessions in relevant terrain I felt well prepared to race. The first race was the long distance and at 10.2km, it was the longest ever female long race at JWOC. One of the main challenges I anticipated was the heat, with July highs averaging 30 degrees and sometimes rising to 35, but fortunately it was notably cooler than this so I didn’t have any real problems with the temperature. I started well but then made some costly mistakes in the middle section. I finished cleanly but my time of 70:49 was only enough for 38th out of 147. I thought I might have placed higher but I wasn’t running fast enough to compete with the top 10 and my mistakes dashed any hopes of replicating my top 20 from last year. The next day was the sprint and despite some previous good international results in sprint, I didn’t think I would be fast enough to break into the top 15 even with a clean run but I wanted to get as close as possible to that. I had been sprinting well so far this season and from looking at the area on Google maps, and training on similar areas, I expected it to be a fairly straightforward course so I felt like I could give it a good go. However as soon as I picked up the map I realised how wrong I was. It was the most technically challenging sprint I have ever raced and particularly in the first half I felt like I made lots of small time losses and had none of my usual flow. I reassured myself that everyone would be losing time and if I didn’t make a major mistake and kept pushing physically as much as I could then I would still be able to get a decent result. The second half was easier and when I finished I knew I hadn’t had any disastrous controls but also knew my race had been scrappy throughout and that I lack the pace to compete with the very best. I was therefore very pleasantly surprised to discover that my time of 17:44 put me in 17th place. However I quickly forgot about my own race to celebrate the hero of the day, Matthew Fellbaum, who finished in 2nd place to equal Britain’s best result at JWOC. The middle qualifier was the next race, with the top 20 in each heat qualifying for the final. The middle terrain was the most challenging and very different from anything I had raced in before so although I had recorded a top 20 result in the final in the middle distance last year, I didn’t have any real aims for this year other than to try to have the best race I could. I lost time in the harder first half and I couldn’t make up for it in the easier second half so I finished 22nd in a time of 30:46 which meant I just missed out on qualifying for the final. However, I was actually pleased with how much I had improved in the terrain since first trying it last Summer. Not qualifying for the middle final meant that I had a day to rest up for the relay. I have had plenty of good international individual races, and plenty of good national relay races, however all 4 of the international relay races I have run for GB have been horrific. So I was really hoping to break this trend and have a strong run in what promised to be fast race. I was running 2nd leg with Fiona Bunn on 1st leg and Chloe Potter on 3rd leg. Fiona has had some excellent 1st leg runs in international races before but after a small mistake early on she came through the spectator run through (about 10 minutes from the end) only a minute down on the leaders so very much still in the mix. It wasn’t long till she was coming down the run in having clawed back more time on the leaders and up to 8th place. I knew I wasn’t far down in time on the leaders or a podium position (top 6 in orienteering) and I wanted to give Chloe the chance to fight for a top position. I had a pretty much perfect run until the final loop where I lost concentration and lost about a minute on the wrong hill. I handed over to Chloe delighted to find out we were up to 6th . Chloe had a quality race, mixing it in with the top girls as many nations keep their best runners for last leg, and even though she scared us all by narrowly missing a control and having to go back for it, she brought us home in 4th! 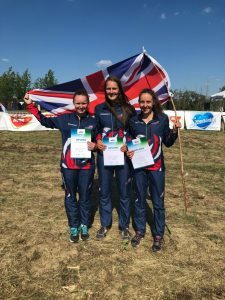 We were all buzzing with the result which is the best Britain has ever done in a JWOC relay. 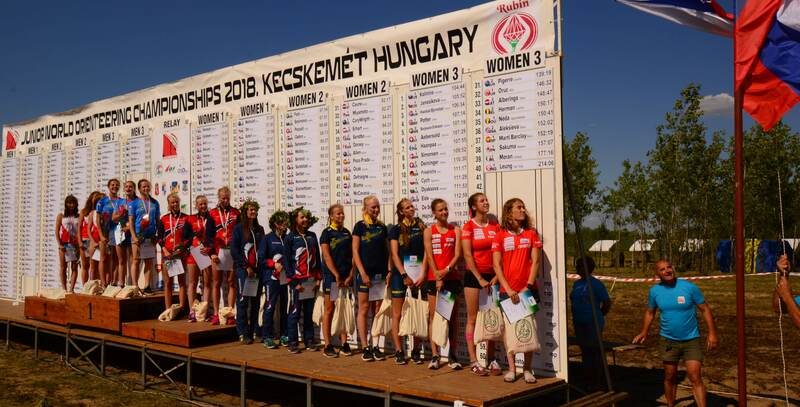 Getting on the podium in the relay was a fantastic way to end the week and it left me really excited to try to improve again for JWOC 2019 in Denmark.